There’s an array of activities that one can engage in while exploring the nightlife in Atlantic City. From glittering casinos to nightclubs or concerts, Atlantic City isn’t short of entertainment. For those guests looking for more of a unique experience, however, there’s a place for that too. Escape AC offers visitors an exciting and ingenious way to enjoy themselves. Picture yourself enclosed in a room with just you and your friends, relying solely on your cleverness to get out. Escape AC has four rooms to choose from: The Poker Room, The Boardwalk, The Casino Cage, or Backstage. Each room comes equipped with challenging games for guests to engage in. Each experience provides a combination of fun and complex activities that make the adventure all the more fun. Located inside the Tropicana Hotel in Atlantic City, Escape AC is one of the many attractions guests can choose from. 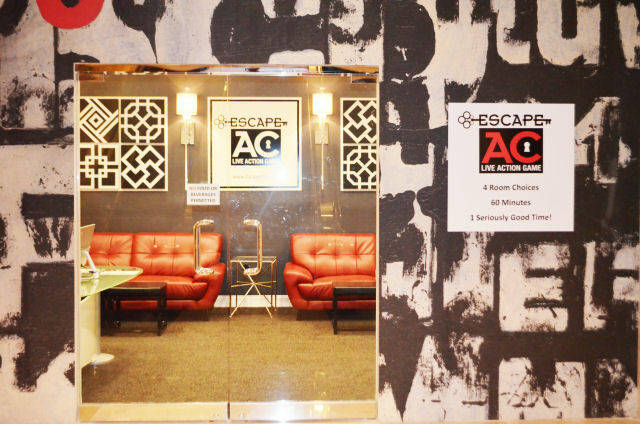 There are other escape rooms, but Escape AC’s distinctive venue and unique structure set it apart from the others. The rooms are very challenging, but provide visitors with a unique experience unlike traditional clubs or bars. So if you’re in Atlantic City and looking for something different and exciting, look no further. For more information about Escape AC, or to make reservations, visit their website at escapeac.com.